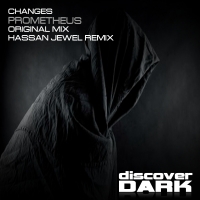 Changes returns to Discover flexing his production muscle, this time for our dark imprint with Prometheus. Expect a multitude of cool influences from the Psy-Tek bassline through to dark techno stabs, acidic hits and cool percussive fills. Add to this the hypnotic minimal topline that builds with both beauty and menace and you end up with Change's not only putting his best forward, but rinsing the competition in the process. A big remix on this too, courtesy of Hassan Jewel with an interpretation that builds on the very best of the original, sits more on the trance side of things whilst retaining its own unique feel. 'Prometheus' is available now from Beatport and iTunes.